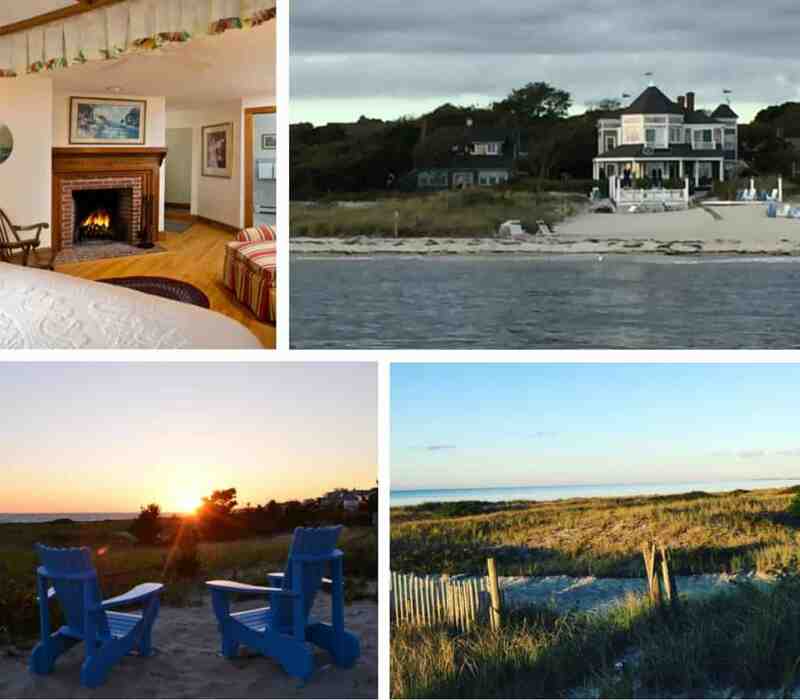 The Beach House - Cape Cod Inn On The Beach | Winstead Inn And Beach Resort Harwich, Cape Cod MA. The Beach Resort commands a spectacular beach front location. 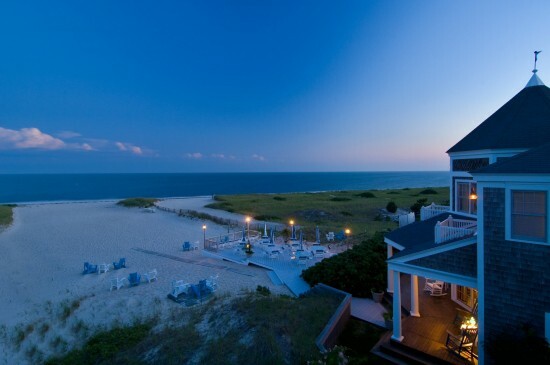 The Beach Resort is truly beach front with our exclusive guest-only private stretch of Nantucket Sound. At this location you can park your car till it is time to leave! The Beach Resort features beach-front lodging on Nantucket Sound and is just a short walk to the shops and restaurants of Harwich Port. Most of the 14 guest rooms offer an ocean view. The Ocean Room with stone fireplace offers a dining and lounging area with sweeping ocean views. One step down to our wrap-around porch with rocking chairs provides additional opportunities to relax and view the waters of Nantucket Sound. The lower deck offers tables with chairs and umbrellas as well as lounge chairs. Our complimentary continental buffet breakfast is served daily in the Ocean Room and may be enjoyed inside at a table, fire-side or beach-side.